[Before Paradise] Indian Relics To Be Showcased – Somewhere! | LIVING IN THE PACIFIC - Philippines to Guam... One Day at a Time! [Before Paradise] Indian Relics To Be Showcased – Somewhere! – LIVING IN THE PACIFIC – Philippines to Guam… One Day at a Time! [Before Paradise] Indian Relics To Be Showcased – Somewhere! Today is the day I meet with another buyer and this time I’m offering up all the ‘museum pieces’ collected from my back yard. 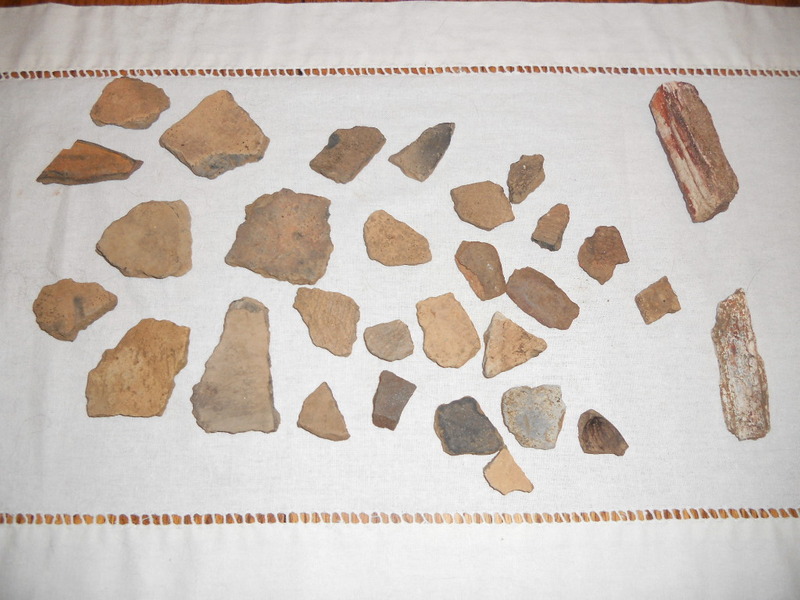 All the arrow and knife points pictured below with some flint scraping tools, a handful of pottery shards, and two petrified wood pieces were all found by me during my backyard landscape construction process. Because the yard was sloping, and every time it would rain, I would head out in search of anything I could find. Then I would re-drag the dirt and wait for the next rain. 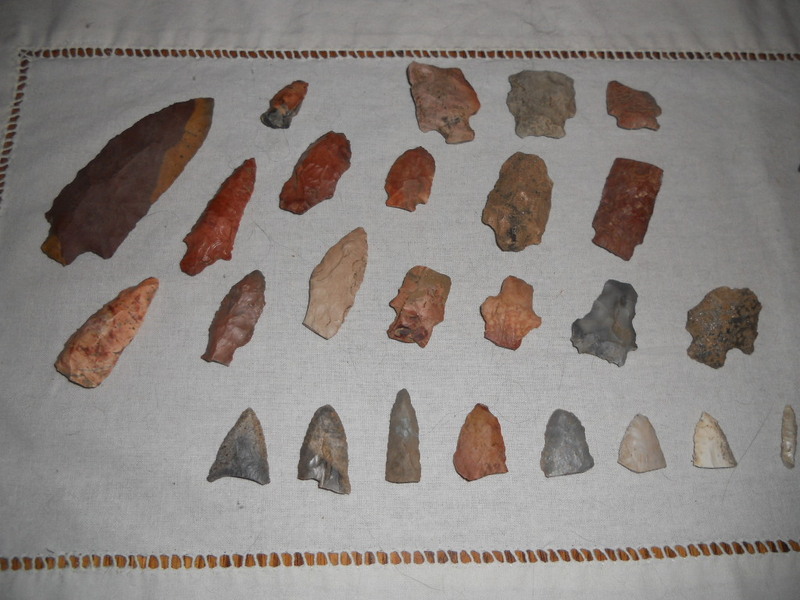 My previous post describes the largest knife point find I made (in photo), and today is the day I will offer up the entire collection to a local collector. While most of the broken pieces and shards may not be worth much, the large knife point in perfect condition should command a few dollars! Maybe with what he offers me, I can make enough to pay for the two A/C systems for the new house. That would be sweet! This entry was posted in Before Paradise and tagged ancient relics, beaches, collector, diving, Early retirement, indian arrowheads, knife points, Packing and moving to philippines, Preparing to move, retire to paradise, snorkeling, tropical weather, tropics. Bookmark the permalink. Good luck with that Randy. Are you still finding pieces in your yard? Maybe you are on top of an old Indian burial ground. You’re going to have 2 a/c units in your house here? If you use them with any regularity, then you can expect about a P6000 electric bill per month. We have only 1 and only use it on occasion these days and our bill is around P4500 each month. As a matter of fact, yes. The home we built was on top of a hill frequented by many peoples over thousands of years. We’ve since moved from that home into another home so my artifact hunting days are over. We will put two, maybe three split A/C units in the new house which are much more energy efficient than window units. We also have a traditional ceiling system which will be filled with blown insulation to help keep the house cool. Also considering a whole house fan if it can be affordably done. As long as we can keep our electric bill under $200 (during the hottest months), that will be fine with me. Gotta get there first!